The Gömböc is a self-righting object, which means that no matter which way you put it down, it stands itself back up. It’s like a Weeble, except it doesn’t cheat by having a weight at the bottom, and it’s the only shape that can do this. 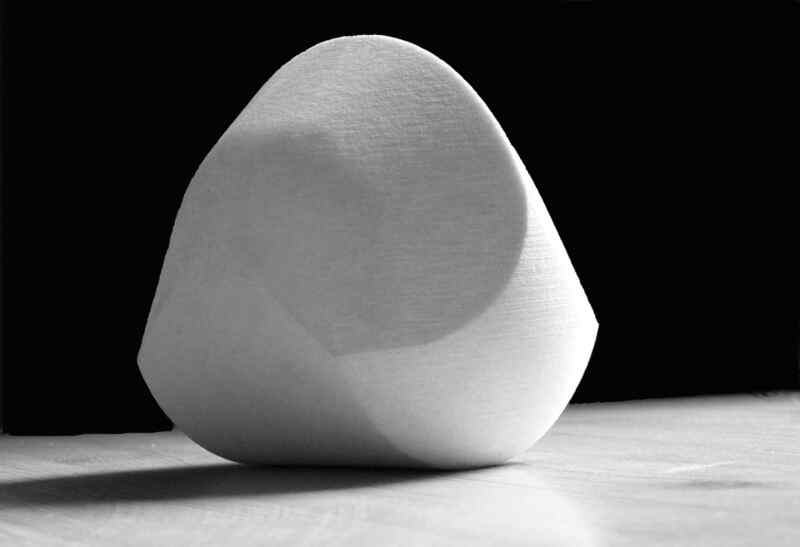 The existence of a shape with these properties was conjectured in 1995, but it took ten years for someone to figure out how to actually make one that worked. And then everyone was embarrassed when it turned out that turtles had evolved this same basic shape in their shells a long time ago, to make it easier for them to roll themselves back over if they get flipped. 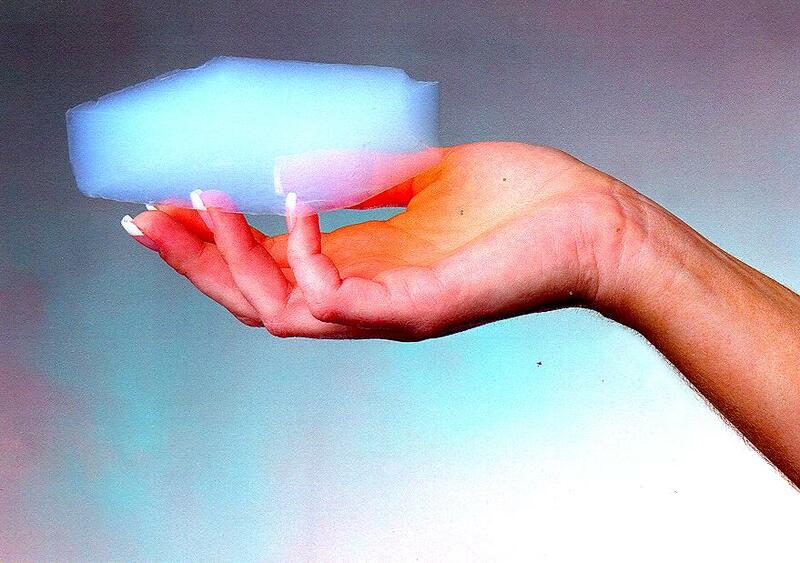 Also known as frozen smoke, Aerogel is the world’s lowest density solid, clocking in at 96% air. It’s basically just a gel made from silicon, except all the liquid has been taken out and replaced with gas instead. If you hold a small piece in your hand, it’s practically impossible to either see or feel, but if you poke it, it’s like styrofoam. Aerogel isn’t just neat, it’s useful. It supports up to 4,000 times its own weight and can apparently withstand a direct blast from two pounds of dynamite. It’s also the best insulator in existence, which is why we don’t have Aerogel jackets: it works so well that people were complaining about overheating on Mt. Everest. Don’t you just think that skin amongst is other things is just amazing, you cut yourself and a blood clot is formed (scab) and then within a matter of weeks new skin is grown over the wound as if it wasn’t even there in the first place! This is due to stem cells and other factors but stem cells play a major part in tissue repair and growth. Imagine in years to come if humans were to advance in this field and it was possible to regrow a finger that was amputated or a limb. I am more than curious about this subject and hopefully after reading this post you will be too. Until recently, scientists primarily worked with two kinds of stem cells from animals and humans: embryonic stem cells and non-embryonic “somatic” or “adult” stem cells. The functions and characteristics of these cells will be explained in this document. Scientists discovered ways to derive embryonic stem cells from early mouse embryos nearly 30 years ago, in 1981. The detailed study of the biology of mouse stem cells led to the discovery, in 1998, of a method to derive stem cells from human embryos and grow the cells in the laboratory. 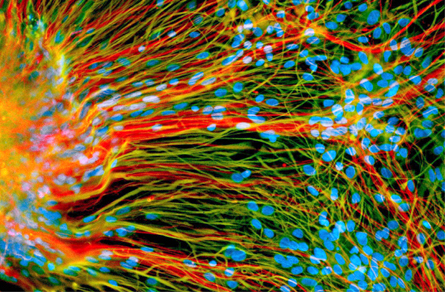 These cells are called human embryonic stem cells. The embryos used in these studies were created for reproductive purposes through in vitro fertilization procedures. When they were no longer needed for that purpose, they were donated for research with the informed consent of the donor. In 2006, researchers made another breakthrough by identifying conditions that would allow some specialized adult cells to be “reprogrammed” genetically to assume a stem cell-like state. This new type of stem cell, called induced pluripotent stem cells (iPSCs), will be discussed in a later section of this document. Stem cells are important for living organisms for many reasons. In the 3- to 5-day-old embryo, called a blastocyst, the inner cells give rise to the entire body of the organism, including all of the many specialized cell types and organs such as the heart, lung, skin, sperm, eggs and other tissues. In some adult tissues, such as bone marrow, muscle, and brain, discrete populations of adult stem cells generate replacements for cells that are lost through normal wear and tear, injury, or disease. You know when someone says to you a certain famliar name or place and you can see an image forming in your mind, or when you travel somewhere or do something and when you think about it you have no recollection of going there or doing it (spontaneous amnesia), have you ever wondered why it is that happens or how it works that you can visualize an image in your head. The human mind is a fascinating thing in itself and according to some theorists we only use on average 5% of its full strength. There has been debate that some people are able to focus more than others and therefore become pychics or mediums etc. I find this absolutely amazing. Imagine if we all had 100% use of our mind. Imagine the things possible to us and the doors it could open. Hopefully this post will encourage you to become interested and curious too. How can we only use a percent of our brain? Evidence shows we can use more. Scientists and others in the psychological, sociological fields have asserted that humans use maybe .01 to.10 percent of our brain. Without getting all science geek about it there is an easier way of understanding what that means. First let us clarify, mechanically you use 100% of your brain. Maximizing usage is another subject. So when someone puts a percentage of use on the brain they do not mean that the other say 90% is dormant or useless. Think of it this way. Let’s say your brain is a stereo. When you are using your stereo you are using 100% of it. Here is the x factor. If the volume knob is set at say a 2 level then you are not getting the same usage when compared to turning the volume knob to 8 or 10. So what scientists are trying to get across to us is we have a lot more room in our cranium to fill. We have more volume to boost. We are not even close to tapping our potential of brain power. The percentage is actually a moot point I would think in reality. There is no physical data to determine in tangible evidence the amount of usage the human brain has. There are as many as if not more than 100 billion brain cells. 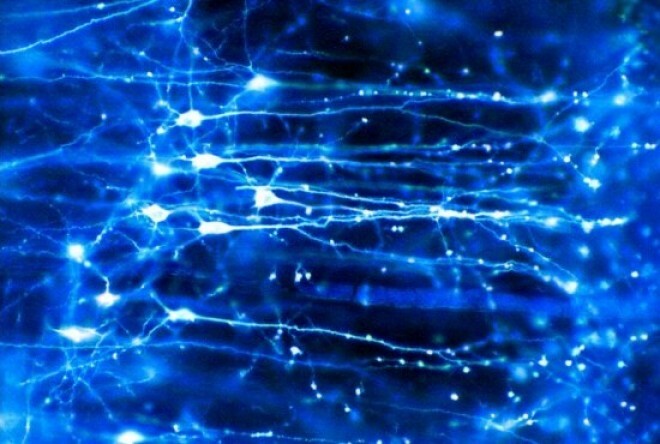 Then there is the neuronal and synaptic connections. 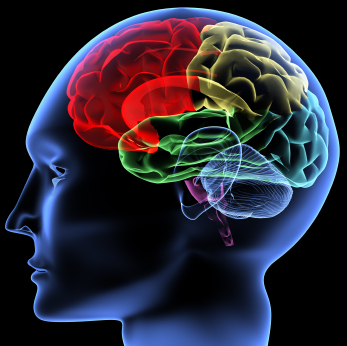 Interestingly there has been data that has determined that people have increased there brain power however. Then there are the people who demonstrate mental abilities that are very rare. Some people with autism for example have had the ability to calculate very high levels of math equations without ever having learned how. There is also more and more variables we are learning about the brain. Studies that suggest that even though our brain is one as a whole we evidently get production out of separate parts of the brain for different mental tasks. We have all heard of the right brain/left brain references for example. So regardless of how you want to interpret the brain usage by percentage, the fact is it is the most amazing gift we have. A computer is nothing compared to the human brain. And we can build upon our ability to get more out of it. So turn up the volume button and get the old noggin’ working.